EPA regulations require engines to meet existing emission standards. Poor emissions are not only in violation of EPA standards, they are also an indication of incorrect engine performance, incorrect voltage output, and other problems such as excessive fuel consumption, oil burning, engine fatigue, and coolant leaks into the block. Periodic emission testing can help identify minor problems before they become major ones. Gregory Poole has trained technicians who can perform emissions testing on all of your standby and prime power generation equipment. 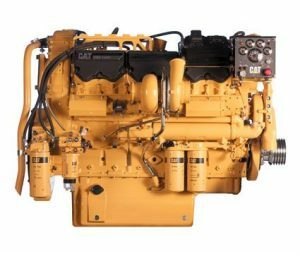 We also provide solutions for emissions control in stationary engines used in power generation, air compression, water pumps, and gas compression applications. Emissions reduction technology for these products are similar to solutions used for machines, trucks, and buses. The end result is lower airborne emissions proving that retrofit technology is a cost-effective solution to reduce emissions for in-use engines that were not originally designed to meet today’s tighter emissions standards. Contact us today to schedule your Emissions Testing. Be sure your equipment is in compliance.